Attention !! This is an external link, i am not responsible for the content ! Jean-Paul Feltes wrote a very nice description about how to do it and what needs to be considered. Unfortunately it is in german language only. This is a picture of a measurement of a selfmade coile with a ferrite core purchased from a big german distributor. Unfortunately the exact parameters of the core and the air-gap are unknown. 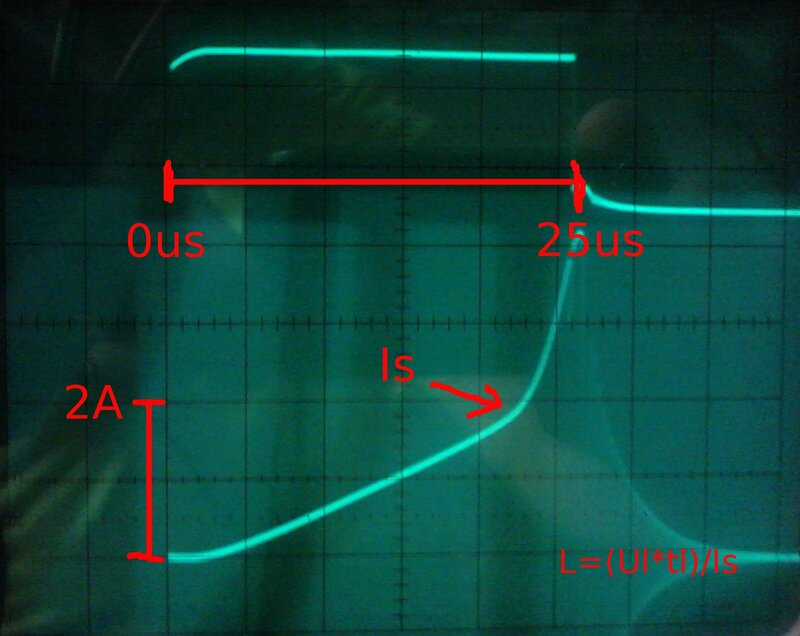 Since i have some problems with the saturation of the core in a switched power supply i tried to measure. The inductance matches what i measured with the network analyzer. The saturation of 2A appears to be quite low. Probably the inductance is choosen too high. 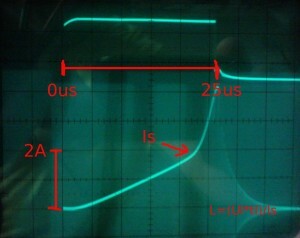 In the picture you can clearly see the point where the coil gets nonlinear because of decreasing inductance when saturating. Be careful not to switch on the transistor for a too long time and care about sufficient time to get the coil voltage to 0.